Home Articles The Beast Incarnates Kryptonite? Who should dethrone the Beast Incarnate and become the next Universal Champion? It was a breath of fresh air to see a Universal Champion we can count on to attend every show, defending the title at every event like a champion undoubtedly should. Roman Reigns defeated Brock Lesnar at SummerSlam in August to win the championship. However, his reign was very brief due to unfortunate circumstances. As you know, the deadly disease leukemia, which he was initially diagnosed with at the age of 22, sadly came out of remission and forced him to relinquish the Universal Championship, go home to his family and fight for his life. This was a huge letdown for the locker room, and there are big shoes to fill now that WWE’s biggest star they have built their company around is out of action for a hefty amount of time – Roman has a long road ahead of him. Good luck to him, I wish him the best. So, after Roman relinquished the Universal Championship, the new champion was to be determined at Crown Jewel in Saudi Arabia. Former champion (at the time) Brock Lesnar defeated Braun Strowman to win the title for a second time. This left a sour taste in the mouths of the fans. Fans question why Vince put the strap back on Brock. Perhaps it’s because Vince simply doesn’t trust Strowman at the moment to carry the team, or he’s saving the title win for a much more significant event, or because of the fact that Strowman is allegedly a contemptible individual backstage, or adjusting plans because of his rumoured injury, or he has other plans – waiting for the right dude to come in and defeat Brock, who knows. Or….or – and this would be ridiculous, although unlikely – he’s waiting for The Big Dog to return to dethrone the Beast Incarnate. Like I said, that is highly unlikely, but I mean, you never know, folks. This is Vincent Kennedy McMahon were talking about. I genuinely see two candidates now that Roman Reigns is unfortunately out of action – the previously mentioned Braun Strowman and Drew McIntyre – who has bursted onto the scene and made a name for himself. I would say a guy like Seth Rollins, but that ship has sailed and he’s got Dean Ambrose in his hair. Bobby Lashley is another guy I’d put at the top of the list, but he’s seemingly stuck in the mid-card nowadays. And as much as I’d love Finn Balor to be champion again – big fan of his – a win over Lesnar is a bit of a stretch, even just a singles match with Lesnar would be surprising. Kevin Owens is out, Sami Zayn is out, Seth and Dean are occupied, Lashley is stuck in the mid-card, so there’s really not much to work with. It’s not like Vince would allow the first two to defeat Lesnar, but it’s just to further prove my point – WWE doesn’t have many realistic choices to work with here. I mentioned that the company may be waiting for a bigger event, like the Royal Rumble, to hand the ball to Strowman and let him run with it. I’d be okay with that. 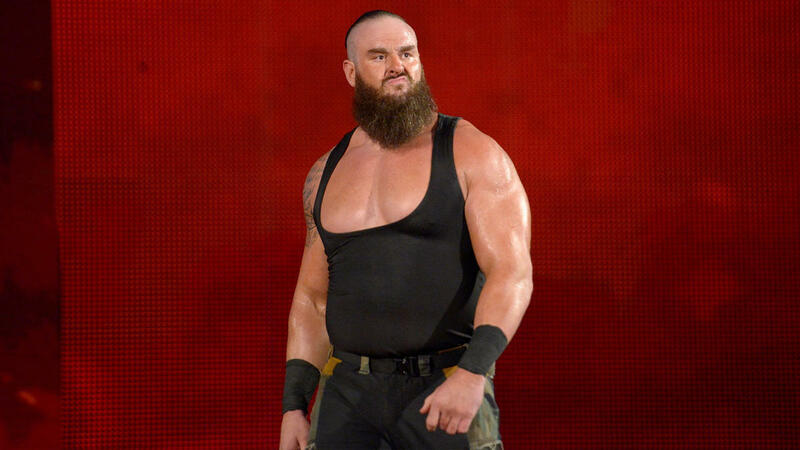 Braun Strowman when he first debuted, was apart of the Wyatt Family, The Black Sheep. Then the faction separated with Braun receiving the biggest push. He was hot, protected, undefeated for a while until he was ultimately defeated by Roman Reigns, but then he quickly recovered and had a pretty good babyface run. The crowd, however, cooled off on him a bit after his recent heel turn, but he’s still well liked and the audience would presumably welcome him with open arms as Universal Champion, as would I. It would make plenty of sense for Strowman to win the title at Royal Rumble, but I see a bigger opportunity to grasp in this situation, a more exciting path and I’m going to touch on that next. This is the man I personally think should defeat Lesnar for the Universal Championship. A few years ago, you’d think I was an utter lunatic to say some nonsense like this (perhaps you even say this now after reading), but Drew has drastically changed for the better. I liked the guy when he was in 3MB, believed he should’ve been in the position he’s in now at the time, but I guess things happen for a reason – he needed to find himself elsewhere. The Scottish Psychopath was released by WWE a few years back and has recently returned, had a run in NXT, and now the main roster – where he has been rightfully protected. It’s quite evident big things are coming for Drew in the near future. And I believe a Universal Championship reign shouldn’t be ignored or avoided. He’s the total package. 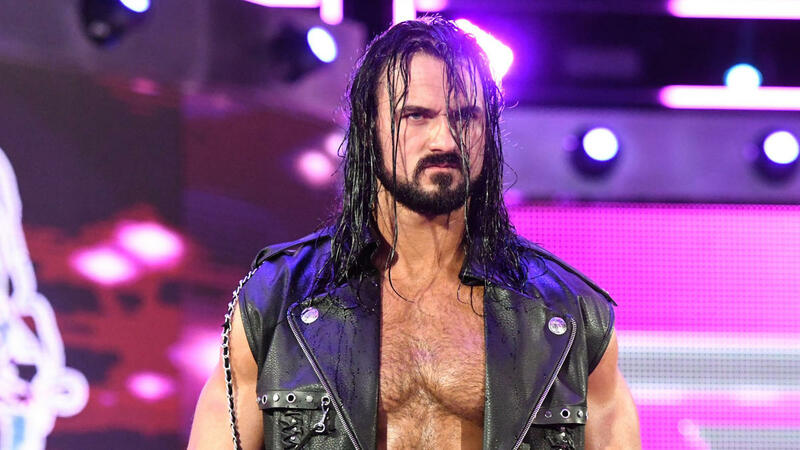 Okay, so, here’s my – I wouldn’t necessarily call it an entirely optimistic prediction, more so wishful thinking – Drew McIntyre enters the 2019 Royal Rumble fairly early, say the 10-15 range. About there. He looks strong, eliminates five to ten people, wrecks everybody in his path, wins the Royal Rumble and then proceeds to face Brock at WrestleMania for the Universal Title. Come WrestleMania, I’d love to see Drew do what Samoa Joe ultimately should’ve done – defeat Lesnar in dominant fashion. This is most likely not going to happen, but it’d be incredible to see it play out like this. As far as the Royal Rumble event goes, the only clear, genuinely realistic possibility I foresee is, The Miz defeating AJ Styles earlier in the night for the WWE Championship and Daniel Bryan winning the Royal Rumble Match itself, thus facing Miz at WrestleMania for the title. WWE could be a little cautious putting Bryan in the title picture again after so many injuries, especially if he were to win the title, but it’s really the only thing I can see at the moment as much as I would love to see Drew win it. To conclude, I don’t really mind Brock Lesnar being around, and RAW’s top championship being defined as a rarity as much as others do, because it makes it feel essential and more important when he and it does make an appearance, but at this point, it is admittedly getting a bit silly. Not to sound like a complete jerk, it’s not my intention in the slightest, but WWE needs to seek a positive out of Roman’s mournful situation, this sad circumstance allows more superstars to step up to the plate. It’s time to get the ball rolling, Vince. How about you start with Drew?